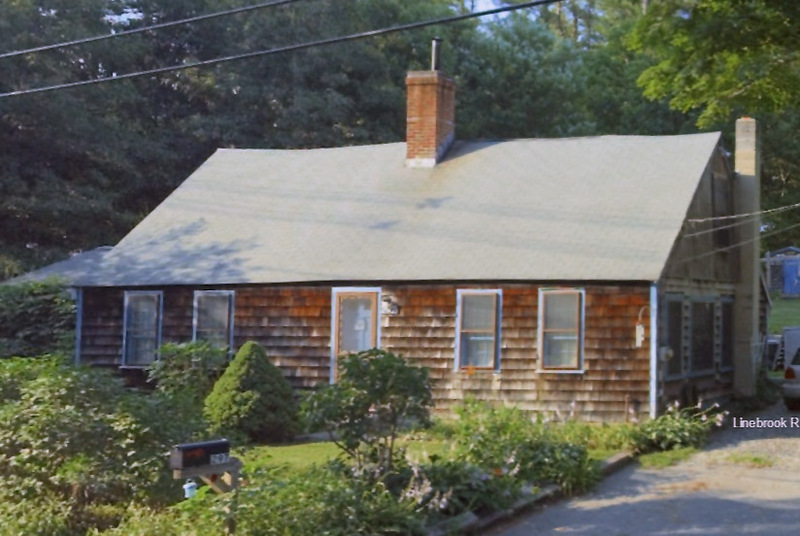 The Joseph Chapman house at 297 Linebrook Rd. was built circa 1720. The building is perhaps the oldest structure in Linebrook, and is said to have once had a fireplace in which one could stand up.. The post and beam frame has summer beams with simple bevel chamfers, supporting the 1720 construction date. The first Chapman to be positively identified as owner was Joseph Chapman in 1832. Joseph and his wife Mary had eight daughters, many of whom married into local families. The one son, Joseph Warren Chapman (b. 1814, d. 1884) inherited the house, and in 1910 the house was owned by Edward Chapman. 1980’s photo from the MACRIS site The owner at that time had installed skylights, since removed. Harry Purinton with Edward Chapman in the doorway. 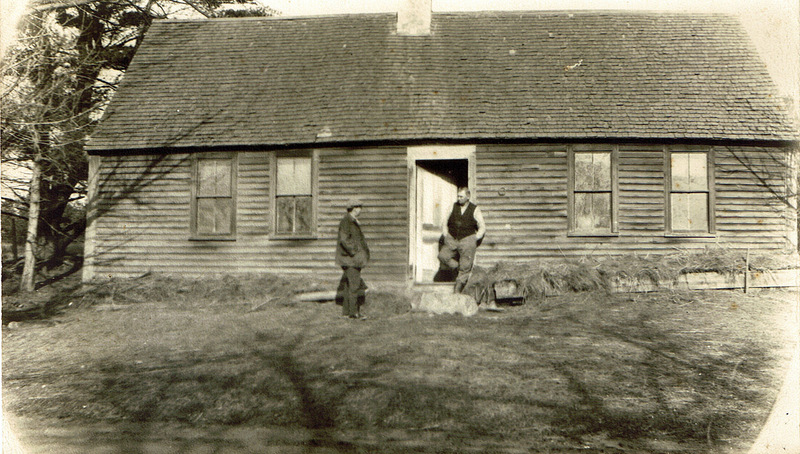 Photo by E. L. Darling, from the collection of William J. Barton. Photo courtesy of Bill Barton. 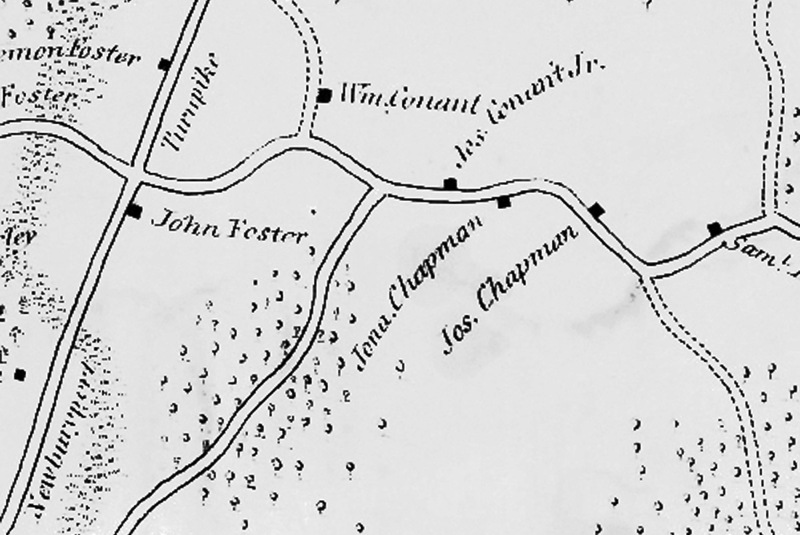 Closeup from the 1832 Ipswich map, showing three Chapman houses on Linebrook Rd.